Parish councils are the first tier of local government. They deliver a range of services at a community level and their role is to represent the local community, provide services to meet local needs and improve quality of life and community well being. Parish councils are formally elected by local people and therefore have a democratic mandate when negotiating with and influencing other decision making bodies. The range of services provided by parish councils varies widely, but typically includes leisure facilities, cultural activities and community grants. Each year a sum of money called a precept is collected through the council tax. This money is invested back into the local neighbourhood by the parish council to improve facilities and services for local people. Parish councils can also apply for grants and loans and, if they own property, can receive money from rents or leases. 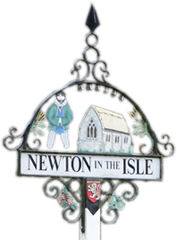 In Newton-in-the-Isle, the Parish Council is responsible for the playing field, the allotments, the provision and maintenance of street lighting, monitoring the condition of the highways, street furniture and signage and reporting defects to the relevant authorities, working with the Police on crime reduction and community safety initiatives, commenting on planning applications and other similar functions. They also own the Village Hall, although this is leased to the Newton Village Hall charity that runs it on their behalf for the benefit of the community. If you live in the Parish of Newton-in-the-Isle and would like to find out what it takes to become a Parish Councillor, read our short guide below and get in touch.